While my husband sits in the living room watching the half-time show at the Grey Cup, singing along with Bachman and Turner (what happened to the Overdrive?) I thought I’d sneak away and provide you all with a quickie update of what’s been a-cooking at Walsh Cooks. 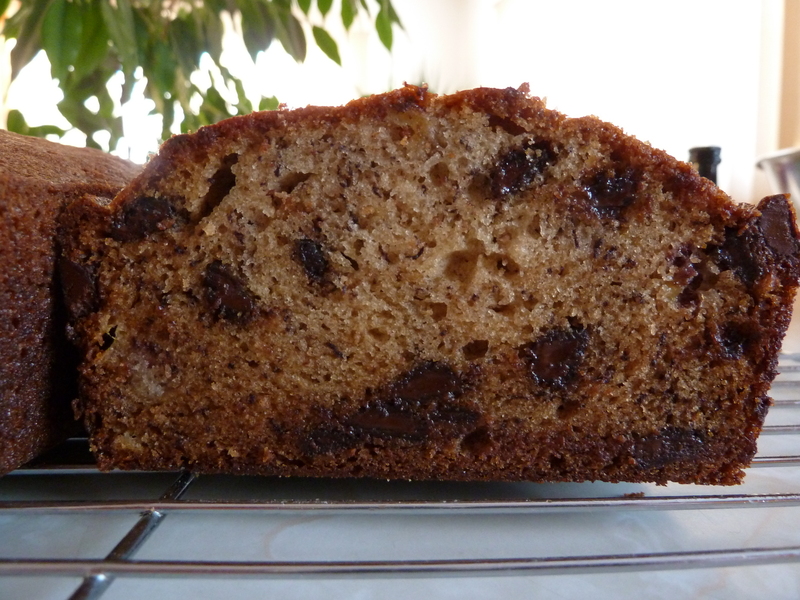 It started yesterday when I decide to bake up a banana bread (with dark chocolate chips). This was followed by cooking up a Riso con Pollo (chicken ‘n rice) dish from that old favourite, the Urban Peasant. Remember him? James Barber? This dish was delicious, save the chicken. I don’t know if you remember a few posts ago, but I froze some chicken thighs and whoopsie fricken daisy, I forgot to stick them in a freezer bag in a timely manner. The chicken thighs were slightly freezer burnt, and were tough as leather in the dish. 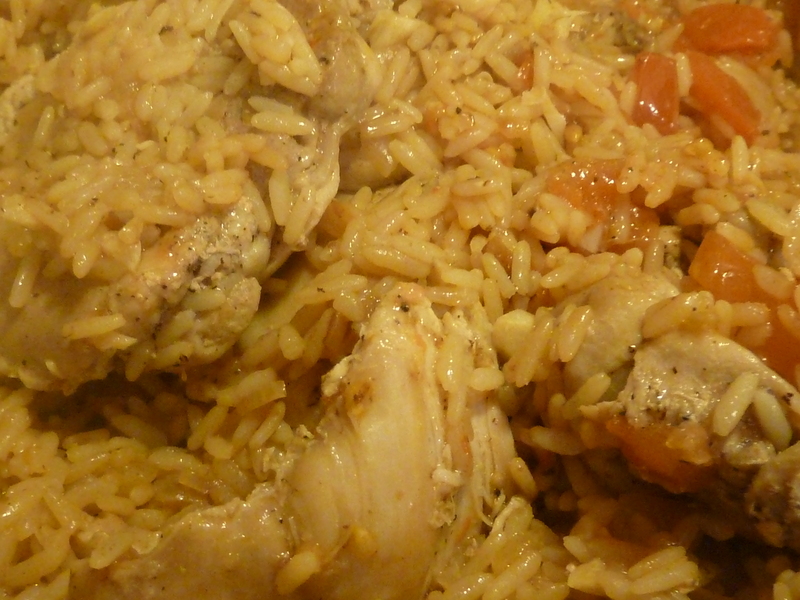 Chicken aside (actually far aside as in the garbage), the rice was delicious and extremely flavourful, being a mix of long grain rice, white wine, onion, garlic, and tomatoes. A few weeks ago, I made a purchase through Eat Local First, and part of that of that purchase was a leg of Irvings Farms Berkshire pork. What to do with this slightly whiskered piece of pork? Today being Grey Cup, I thought we’d do a living room version of a tailgate, and thought I’d try a pulled pork recipe. After a bit of research discovered the optimum piece of pig for this dish would be shoulder, but I shrugged, and thought I’d give the leg a go. It was another all-day affair, but quite easy to do. I found a great recipe on the Food Network’s website, called, Oven-Roasted Pulled Pork Sandwich, and even went ahead and put out for the Spicy Slaw recipe. Both were a hit, based on the enthusiastic nom noming by Michael, followed by his plate being licked clean. While the pig was cooking, we headed over to the newest Bulk Barn in Edmonton, located in Old Strathcona, next to the Shoppers Drug Mark on 104th Street and 81st Avenue. This place is fun! Many, many, many years ago I worked in a place in Calgary called Bulk Food World. It was a place ahead of it’s time, and today we visited the incarnation. Rows and rows of bins and buckets of stuff – kamut, all kinds of oats, beans, coffee, tea, chocolate, bird seed, flour, rice, spices, and candy, candy, candy. The prices were reasonable, and the selection wide and varied. In this picture here, you can see our little selection. 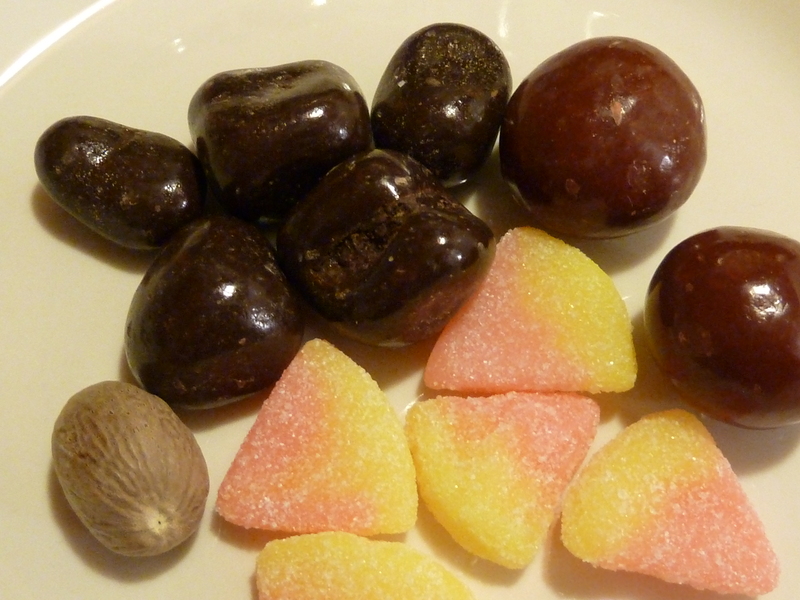 Grapefruit slices, chocolate covered cherries, chocolate covered ginger, and one little nutmeg that cost a whole 14 cents. What you don’t see is the large bag of steel cut oats we bought. We’ve both become a huge fan of steel cut oats, and advise you to stay tuned for a future blog post dedicated to this tasty whole grain. I think we are in the third quarter of the 98th Grey Cup. Best I join up with the hubby and take in a few minutes of this great Canadian game. Go Riders! “You ain’t seen nothin’ yet”!!! Yeah!!! So glad to hear about the Bulk Barn, will check it out! Thanks for the note on Bulk Barn in the area! Definitely going to check it out once exams are through. Yum! Glad the pulled pork turned out.